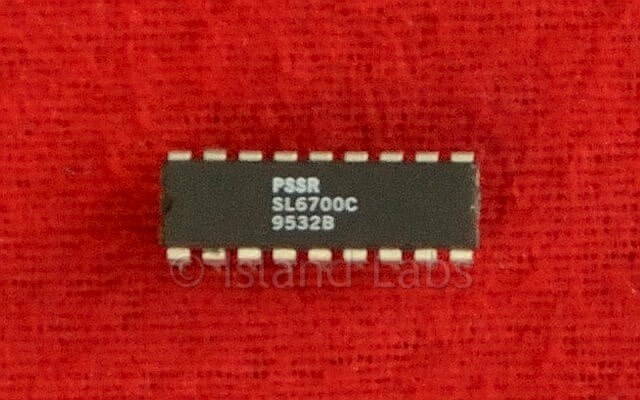 The SL6700A is a single or double conversion IF amplifier and detector for AM radio applications. Its low power consumption makes it ideal for handheld applications. Typically the SL6700A will be fed with a first IF signal of 10.7MHz or 21.4MHz; there is a mixer for conversion to the first or second IF, a detector, an AGC generator with optional delayed output and a noise blanker monostable. This device is characterised for operation from -55°C to +125°C. The noise blank duration can be varied from the suggested value of 30µs using the formula: Duration time = 0.7CR, where R is the value of resistor between pins 11 and 12 and C is the value of capacitor from pin 12 to ground. There is no squelch in the SL6700A, and the delay in the delayed AGC is too large to make this output suitable. Squelch is best obtained from a comparator on the AGC decoupling point, pin 16. The IF amplifiers may be operated at 455kHz giving a single conversion system. The mixer may also be used as a product detector. Further application information is available on request.